Post: Gaurav Akrani. Date: 2/10/2011. Comment (1). Label: Banking. What is Crossing of Cheque ? A cheque is a negotiable instrument. During the process of circulation, a cheque may be lost, stolen or the signature of payee may be done by some other person for endorsing it. Under these circumstances the cheque may go into wrong hands. Crossing is a popular device for protecting the drawer and payee of a cheque. Both bearer and order cheques can be crossed. Crossing prevents fraud and wrong payments. Crossing of a cheque means "Drawing Two Parallel Lines" across the face of the cheque. Thus, crossing is necessary in order to have safety. Crossed cheques must de presented through the bank only because they are not paid at the counter. The cheque bears the words "A/c. Payee" between the two parallel lines. 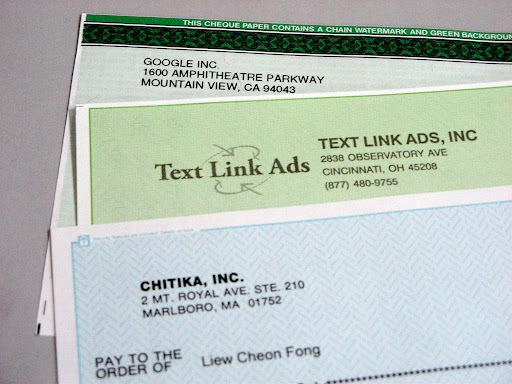 A crossed cheque can be made bearer cheque by cancelling the crossing and writing that the crossing is cancelled and affixing the full signature of drawer. When a particular bank's name is written in between the two parallel lines the cheque is said to be specially crossed. In addition to the word bank, the words "A/c. Payee Only", "Not Negotiable" may also be written. The payment of such cheque is not made unless the bank named in crossing is presenting the cheque. The effect of special crossing is that the bank makes payment only to the banker whose name is written in the crossing. Specially crossed cheques are more safe than a generally crossed cheques. that was very use full stuff for students who are desire to know such a information.